I was honored to be named by the Phoenix Examiner as one of the top 5 jazz pianists in Phoenix. My specialty is playing "American Standards Song List." These are wonderful songs from the era of the 1930s, 40s, 50s, and 60s, and include songs like My Funny Valentine, Over the Rainbow, Misty, Autumn Leaves, Moon River, Alfie, As Time Goes By, and many more. I am always happy to play requests. The American Standards are songs made famous by composers like Cole Porter, George Gershwin, Jimmy Van Heusen, and singers like Frank Sinatra, Judy Garland, Tony Bennett, Nat King Cole, Billie Holiday and other musical luminaries. Ted delighted our guests with his piano playing. He was prompt and played great music for our crowd. I highly recommend Ted for any type of party. You can't go wrong with him! Thanks for your kind words Ms. Passov. You were a gracious host, and I am so glad you and your guests appreciated the music I played. Your review is so greatly appreciated. I recommend Ted highly and would certainly ask him to play again should we host similar event. He is very professional, prompt, polite, and an accomplished pianist. My only regret is not having enough time during the party to just listen to his playing. Thank you so much Mr. Poirier It was a pleasure and a privilege to have played for you and your guests the music I have always loved. The piano was one of the nicest I have played. Once again, thank for your kind words. Thank you so much Mia and Dean...The piano was wonderful, and the ambiance warm and inviting. Thank you for making me feel so comfortable in your home. My only regret was not taking you up on your offer to try some of the bruschetta! We had Ted come perform for our happy hour in our Assisted Living home. Ted's music is more soothing and calm. Although we only booked him for 45 minutes, he took it upon himself to keep the party going and played for an extra 30 minutes. We truly appreciate his love for performing for the residents and that it means more for him to provide fun than to be paid. Thanks, Amanda, for the opportunity and privilege of having performed for those at Sagewood. I enjoyed every minute of it. Ted arrived on time played beautiful sets our dinner party. We highly recommend him. I can’t think of a more emotional and important event than my father’s memorial service. Ted C. agreed to play 7 songs over 2-2 1/2 hours. I provided him 1 sentence to read prior to each song. He agreed via the GIGsalad app, phone conversation, and his personal email. He never expressed any concerns. 5 hours later via email, Ted complained that I was asking him to be an MC and cancelled last minute the evening before the event. I was not asking him to be an MC because there was already a person who guided the entire memorial. These were a few words to introduce the meaning of the songs about to be played. He never expressed concerns about the event (or his fee) at all and had 5 hours to do so. I would have been fine to discuss. In fact, I called him 2x and emailed him 2x asking to reconsider or discuss his concerns. He did not have the courtesy to return any of my messages. Ted’s last minute cancellation and failure to respond was unprofessional. He put me and my family into an already painful & difficult situation. I do not recommend Ted C.
Unfortunately the reviewer fails to mention in his review he waited until only hours before the event to go onto the Gigsalad site seeking a pianist. 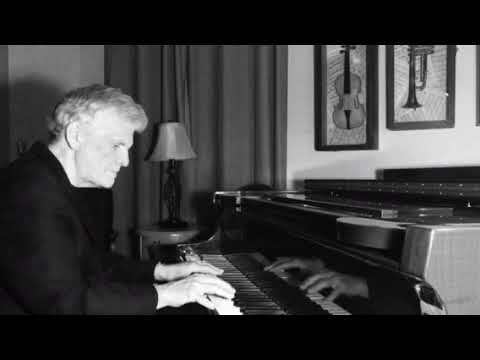 The reviewer made clear he was seeking a jazz pianist to play songs from the 1930s, 1940s, 1950s, and 1960s at a memorial service for a family member. The reviewer wanted me to play some of the deceased's favorite jazz ballads like Moon River, My Funny Valentine, and others like them. That was our agreement. That is what I do. The songs I play are not of a religious nature, nor are they songs associated with death. Within only a few hours of the event the reviewer unilaterally modified the terms of the agreement. In that regard, the reviewer informed me he not only wanted me to play the piano, but to stand up to address individual family members by name before I played each song, telling bereaved family members how I knew the deceased would have liked the song I was about to play. I never met the deceased, nor did I know anything about him. In effect, the reviewer wanted me to fabricate stories I knew were untrue, and to do so as a sort of "Master of Ceremonies." Finally, without informing me, and within hours of the service, the reviewer emailed me a copy of the brochure for the service. The brochure said I would be taking requests. While I am always happy to play requests, the reviewer failed to inform me the requests might be of a religious nature, or at at a minimum, songs of a reverent nature played at memorial services. That is not what I do, nor was it what I agreed to do. I am sorry the reviewer was upset. However, I can not be held responsible for the reviewer's unilateral decisions regarding my engagement to play. I must stand firm in this matter and rely on the reviews from my previous clients. Ted was an excellent addition to our event. We greatly enjoyed his musical abilities. Would definitely have him again at our events. Thank you for the review Mr. Kimmel. It is so greatly appreciated. Ted is a real professional. He showed up on time and is a very talented pianist. Ted was a great addition to our event. I spoke to him ahead of time and we agreed on a time frame, songs, etc. He arrived on time and performed exactly what we had discussed. I would readily hire him again. Thanks so much Mr Bradley. Your review means a great deal to me. My goal is to blend into the background, while providing a steady flow of elegant music meant to enhance your event. My clients can expect me to act professionally at all times. I make a point of showing up at least 30 minutes before each event so I can be set up and ready to play at the appointed time. Music has always been my passion. 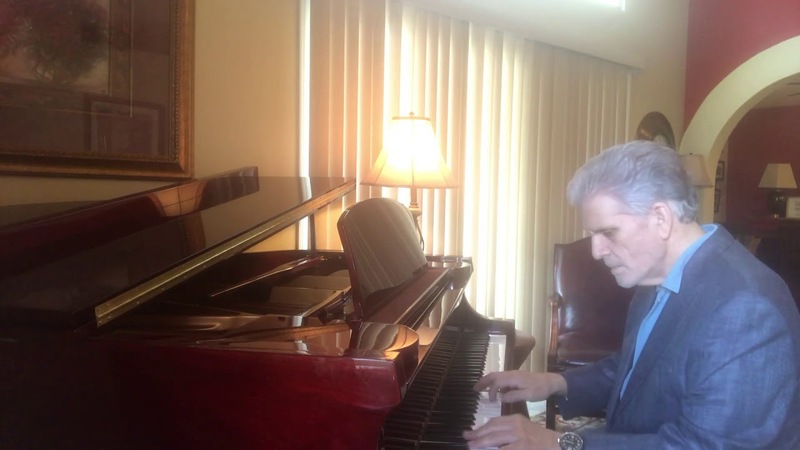 After practicing law for over 30 years I returned to playing the piano. Growing up I was constantly surrounded by music which today is referred to as the "American Standards." Whether in my home, on the radio, or on television and the movies, the ubiquitous sounds of Frank Sinatra, Tony Bennett, Nat King Cole, Judy Garland, and others like them had a wonderfully positive effect on me. Today, I thoroughly enjoy keeping alive those sounds which influenced me so deeply. When performing, I do all I can to impart to my audience the wonderful feeling I have each time I play one of these wonderful songs by a bygone era. I have a printed menu of my complete repertoire, and will be happy to provide that menu to my clients in advance of the event. Additionally, I will be happy to play requests, but because of the hundreds of songs written during the 1930s, 40s, and 50s, it would be helpful if my clients let me know in advance if they have any special requests. Doing so will assure their requests will be played. I am always happy to play a piano already at the site of the event. However, if a piano is unavailable, I can always bring my own piano.